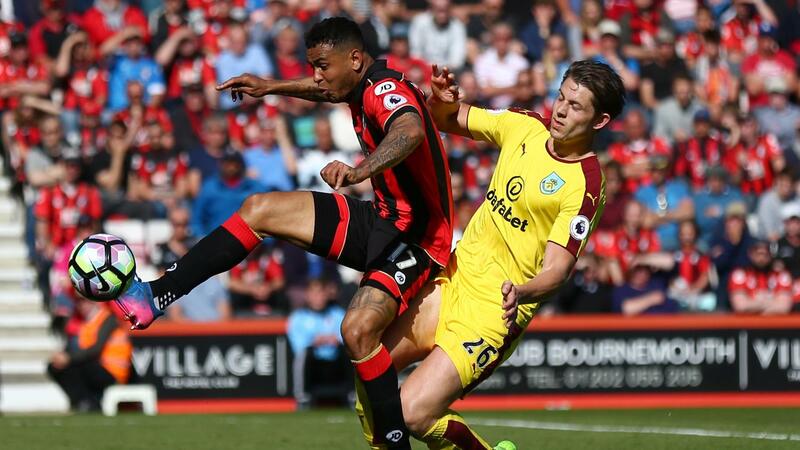 A goal from Junior Stanislas (£4.6m) helped AFC Bournemouth to a 2-1 victory over Burnley, with the winger receiving the maximum Fantasy Premier League bonus points. Recording 31 in the Bonus Points System (BPS), Stanislas opened the scoring at Vitality Stadium. He also completed three dribbles, 80% of 41 attempted passes and created two chances in the Cherries win. Joshua King (£6.2m) collected two bonus points with a BPS tally of 26. The Norwegian international scored the hosts' winning goal and also delivered two key passes, five recoveries and four successful dribbles. Lewis Cook (£4.2m) picked up a single bonus point, with 25 in the BPS. The midfielder completed 79% of 54 attempted passes, including the assist for Stanislas’s strike, and won three tackles. King was ranked top of the ICT Index in Saturday's contest thanks mainly to a Threat score of 101, the highest in Gameweek 37 so far. The 19%-owned FPL midfielder had nine touches in Burnley's penalty area, with all five of his shots arriving from close range. Sam Vokes (£5.6m) was again Burnley's standout performer, having claimed the visitors' late goal. The striker matched King for total shots (five), with four of his efforts fired from inside the penalty area. Climbing into sixth place in the FPL midfield standings, King strengthened his status as the top-value outfield player in terms of points per million (28.7). The Cherries' top scorer was snapped up by over 27,000 FPL managers ahead of Friday's deadline, despite offering only a single fixture in Gameweek 37. He is currently ranked third among midfielders for transfers in ahead of a final day trip to Leicester City. But Stanislas could prove a budget-friendly alternative for that Foxes encounter, freeing up funds for big investment elsewhere. The winger has netted in back-to-back Gameweeks, outscoring King by 19 points to 14 and is owned by less than 1% of FPL managers. Burnley's Vokes has also impressed ahead of his final day home meeting with West Ham United. After scoring five times in the first 32 Gameweeks, the target man has registered four goals in as many outings, firing 14 shots from inside the penalty area. No FPL forward can better that tally over their respective last four matches.